Captain Toad: Treasure Tracker is the perfect term for this fun platformer where players scour every inch of the environments as Nintendo expands the Mario world again on the Wii U with the dialogue free Toad characters. 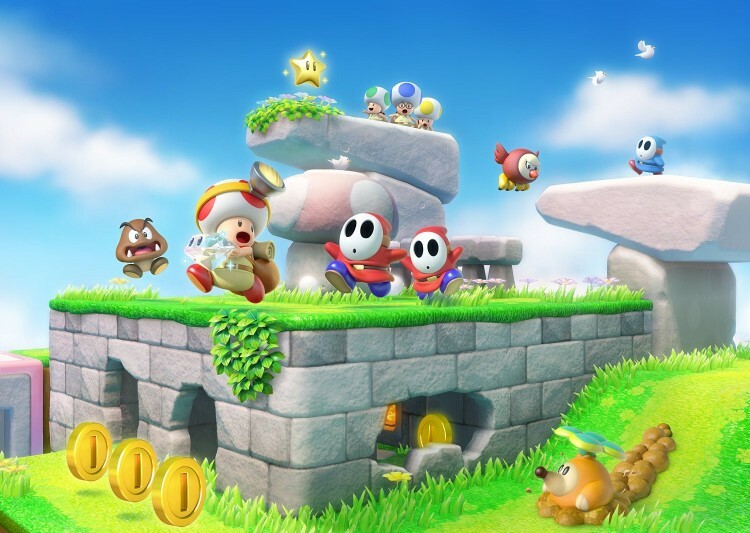 This Wii U exclusive, one-player, puzzle-strategy game also features eclectic characters like Toadette, the Toad Bridage, Wingo, and Draggadon along with the familiar Goombas and Shy Guys. 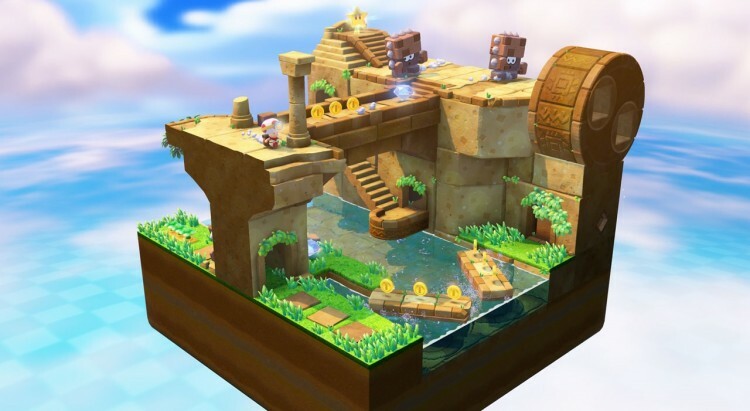 Captain Toad: Treasure Tracker is a spin-off of the Mario series which builds upon a minigame originally featured in 2013’s Super Mario 3D World, so naturally this game follows suit with rewards and clever levels. The game does support the Amiibo figurines. Ready for adventure? Captain Toad stars in his own puzzling quest through maze-like mini-universes—only on Wii U. Each stage is stacked with tricks and traps, so our stubby hero will have to use his wits to dodge dangers and track those treasures. Survive smoldering volcanoes, hazardous steam engines, haunted houses, and more—all in the name of treasure! That’s Captain Toad’s mission in life—to hunt juicy valuables like Super Gems and Power Stars across puzzling microcosms of danger and delight. Along the way, he’ll have to reclaim stolen goods, not to mention beloved Toad Brigade member Toadette, who’s been nabbed by a greedy bird. This tiny hero will have to waddle, hide, pluck, chuck, and power-up his way through enemy-infested locales like wild west shanties, beautiful towers, and Goomba waterparks—all bursting with goodies to find and secrets to unearth. Point your head-mounted flashlight toward adventure! Gameplay wins the day here as the story closely follows the Mario game series as Captain Toad explores a kingdom with over 70 levels. The Toads are reportedly a genderless race, but players still encounter a female Toadette character that, predictably, has to be rescued. Captain Toad must save the day and get baddies out of the way…or make a helpful ally. The Wingo bird and Draggadon creature are the big bosses while Goombas and Shy Guys are more numerous. The Captain must also contend with the owl-like Flaptors, Boos, Piranha Sprouts and Mummy Mes, which match the ruin, haunted mansion, volcanoes, and water park environments. 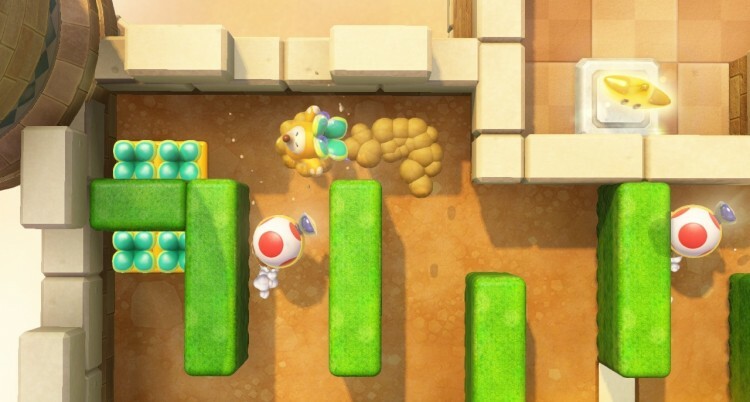 Captain Toad can’t jump in this game, so players have to move the camera to help characters find every nook and cranny to avoid baddies and other dangers. It’s a fun, whirlwind ride with great variety and a familiar game currency/reward system. Players pick up items like super gems, power stars, super pickax, and a special double cherry that also doubles Captain Toad by splitting him in two, which becomes one of the best advantages and most prominent challenge. Players get unique mental challenges while trying to manuever two Captains through environments. There are three optional super gems in each level. Finding all the collectibles in each level is fairly challenging while players must avoid traps. The overall learning curve remains low to medium, which fits the all ages format well. Navigate through various enemies and obstacles in order to reach a gold star at the end of each level while getting help from the yellow, blue, mail and bank toads from the Toad Brigade. Captain Toad can be hit twice before dying while players move using the GamePad left stick and manipulate the camera using the right stick. 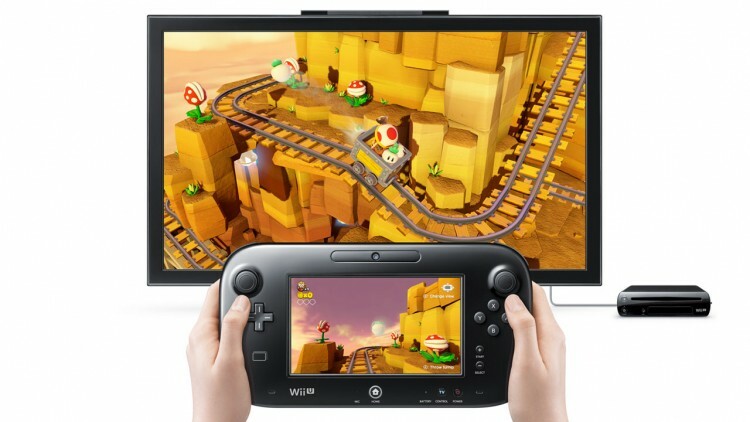 The additional Wii U GamePad’s features help the game variety with touchscreen, tilt controls, and audio mic capabilities. Find coins, 1-up mushrooms, super mushrooms, and turnips. The mushrooms restore health and the turnips provide unique advantages against enemies and item collection assistance. Captain Toad cannot attack so picking up items or characters like the turnips gives players helpful advantages. Captain Toad can pull up other plants out of the ground as well and collect a powerful pickaxe that can clear out baddies and objects. Players get a gold star when levels are conquered and navigate using storybook-themed menus. The optional objectives add replay value, but are not required to progress. 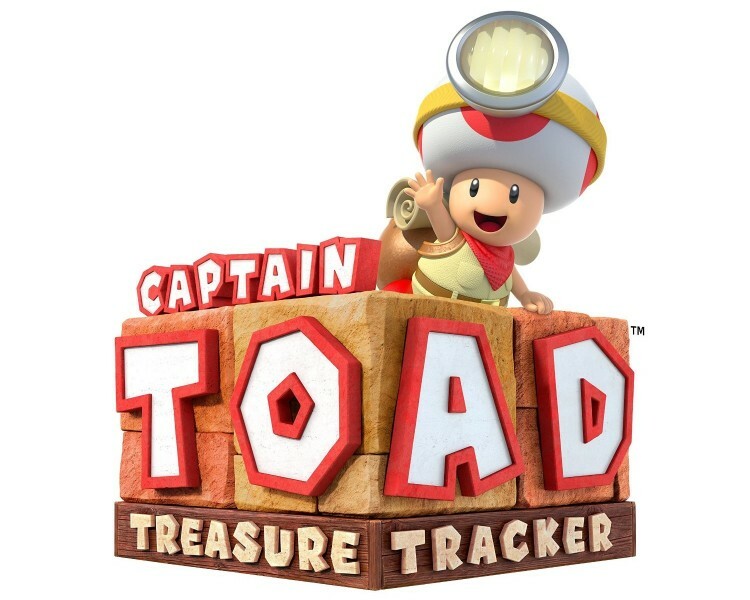 Published by Nintendo and developed by Nintendo EAD, Captain Toad: Treasure Tracker has colorful designs, helpful visual views/hints, and upbeat music to keep the unique gameplay light and fun while the simple controls and movements/physics give players an entertainment framework where they can conquer the numerous levels. Captain Toad: Treasure Tracker retails for $39.99 at Amazon [affiliate link] and other stores. Love writing and explaining complex items in simple terms. Making media into useful tools for life is always on my mind.